Schwarber, who was up with runners on second and third with two out, believed he held up his swing on a 3-2 pitch from Angels reliever Cody Allen. The third base umpire did not agree however, calling Schwarber out and ending the game. 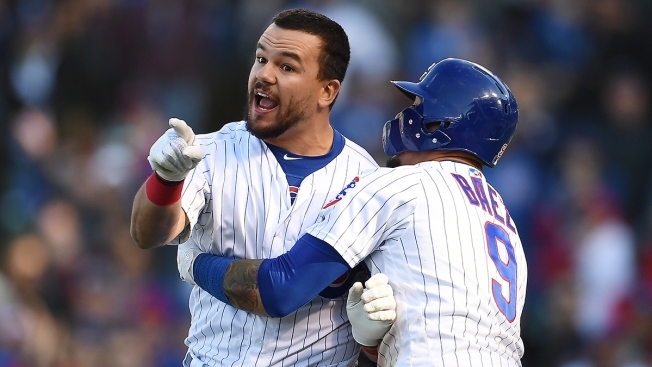 Schwarber was restrained by several teammates, including Javier Báez and Jason Heyward, and was taken by teammates from the playing field after the game. The Cubs and Angels will wrap up their series on Sunday, weather permitting, at Wrigley Field.